It was my first time grilling shrimps. It just seems a lot of waste grilling them since we would then be only using the peeled body of the shrimps and throw the rest of the parts away. With shrimps, we usually do our favorite sautéed spicy shrimp dish but when we had our first taste of this one, I couldn’t believe why we didn’t try grilling them before. The taste was marvelous! I used some French dressing for the marinade and it was perfect for the shrimps. 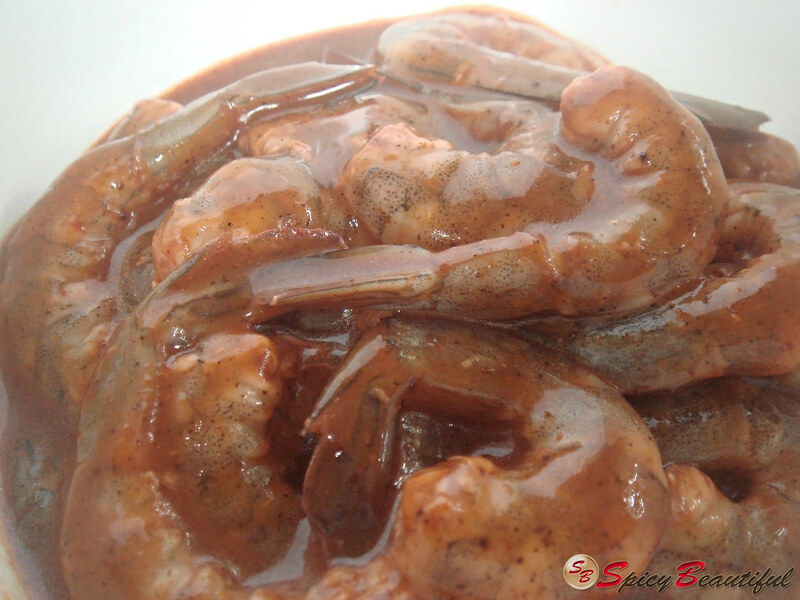 The smoky essence of the flame grill combined with the marinade only intensified the richness of the flavor of the shrimps. The salad was out of this world, I kid you not. But don’t take my word for it. 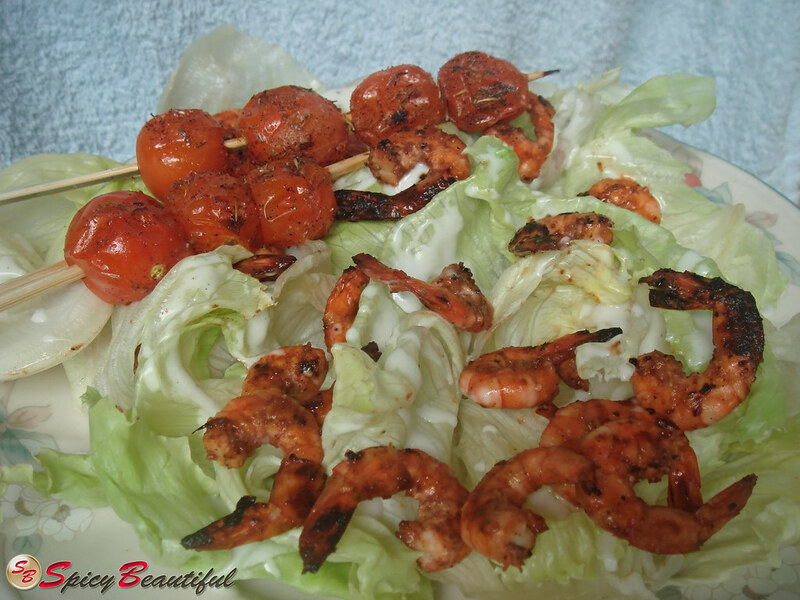 Try making some today and I guarantee you won’t think twice about grilling shrimps anymore! 1. For the marinade, mix the French dressing, kalamansi juice, Worcestershire sauce, chilli powder, cayenne pepper, black pepper and salt in a bowl. Add the shrimps, toss to coat and let sit for 15 minutes. 2. 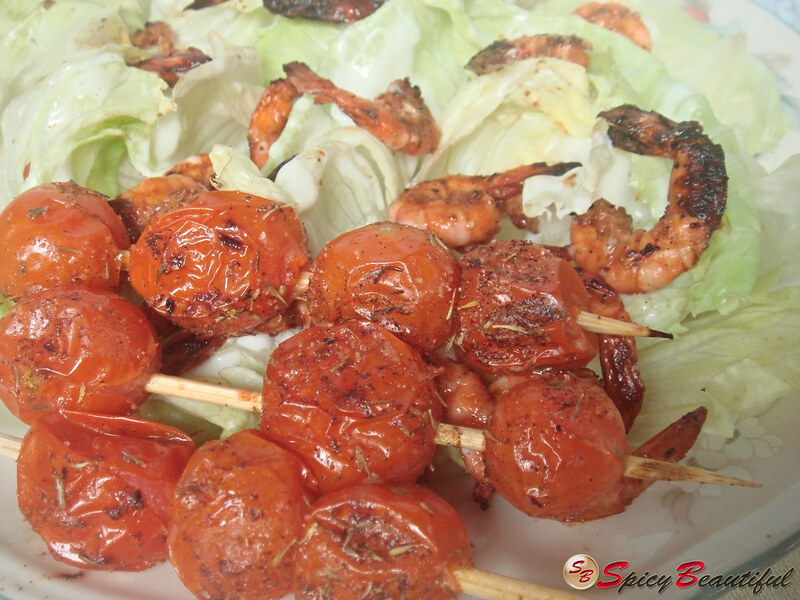 While waiting for the marinade to do some magic with the shrimps, skewer the cherry tomatoes. As a tip, soak the bamboo skewers in water for 15-30 minutes before using to make them more heat-resistant. 3. Preheat the grill to medium heat. 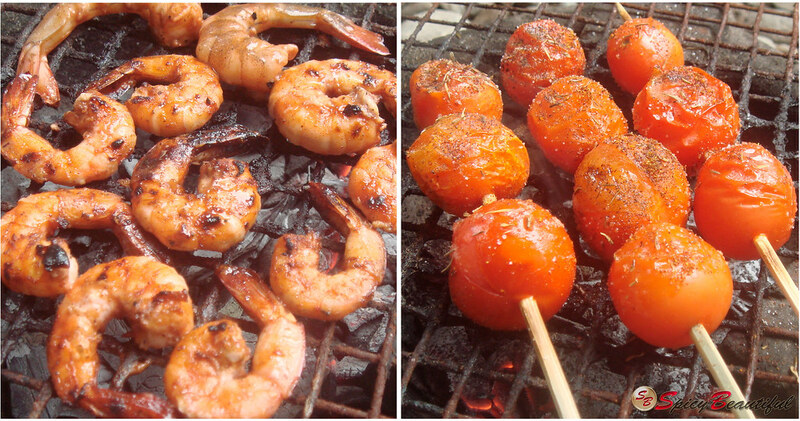 Place the shrimps and grill them for 1-2 minutes on each side or until the shrimps turn orangey. 4. 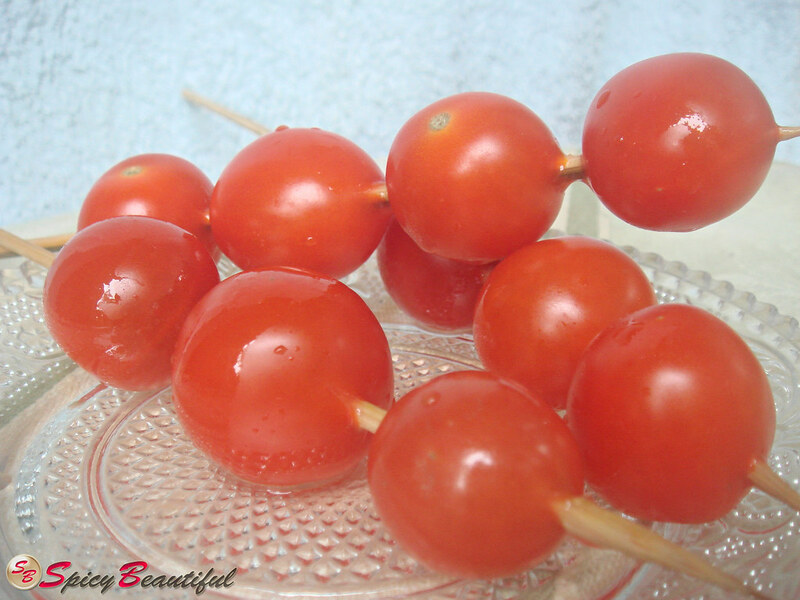 Before placing the cherry tomato skewers on the grill, slather them with butter. Once a side is done, sprinkle some salt, thyme and black pepper. Do the same with the other sides until the tomatoes are all wrinkly from the heat.